It’s no wonder that the attention to water quality has been such a concern lately. In the Environmental Working Group’s Water Treatment Contaminants: FORGOTTEN TOXICS IN AMERICAN WATER report from February of this year, “studies have shown that there are more than 600 unwanted chemicals created by the interaction of water treatment disinfectants and pollutants in source water.” This study was released along with another report which focused on the impact of Hurricane Sandy on the drinking water along the East Coast. That report goes into great detail about potential cancer causing effects of trihalomethanes in drinking water supplies. Bottled water may be a good source for water, but it presents a whole set of other issues on the environment due to the use of plastics. That leaves home purification systems as a solution. The North Carolina Cooperative Extension Service offers a good guide explaining the available home solutions and their relative benefits for quality water. It remains important to stay focused on your source of water to insure your personal health. The boxing industry faced criticism for the obvious physical damage done to its boxers. Now it’s time for the NFL to admit to what many see is an obvious danger to the sport’s players. 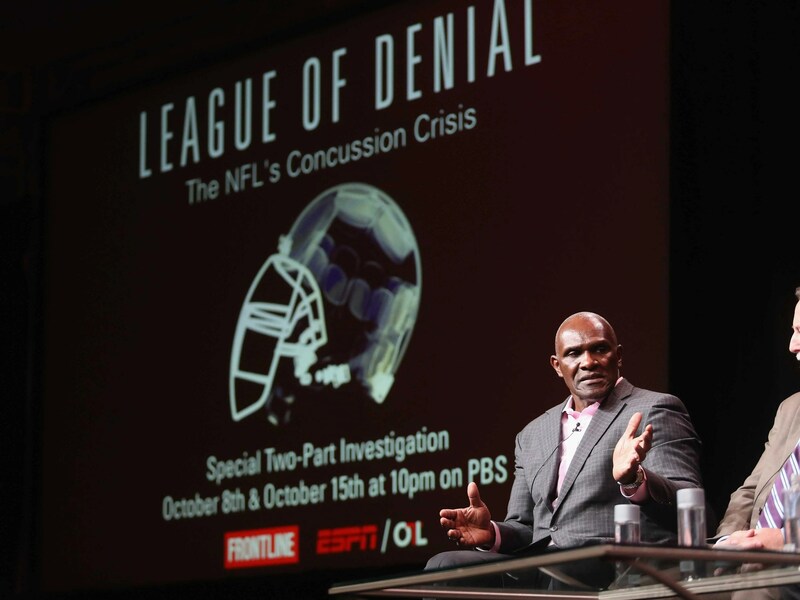 The PBS program Frontline has been working on a show called “League of Denial” on the effects of football on brain concussions. Last week, ESPN was forced to withdraw from contributing to the show’s production due to pressure from the NFL itself. The boxing industry survived, as will the NFL. This recent strong arming of ESPN does not help the NFL’s cause. It is unfortunate they brought even more attention to their denial by attempting to block the story from ESPN’s perspective. We should expect to see some changes in the way the game is played as well as the way in which the players are compensated, but it’s unlikely that this American sport is going to lose any viewership. Billions of dollars of Tamiflu had been stockpiled for the H1N1 2009 potential flu pandemic. The problem is that publication bias, like most “evidence based medicine” studies today, affected the Tamiflu test results. An explanation of the data so far disclosed, can be found here. Ben Goldacre is a concerned doctor who prescribes drugs to treat his patients. He relies on his training and due diligence to research and study the efficacy of his prescriptions to establish confidence in his treatment programs. While uncovering information pertinent to one of his patients, he discovered some interesting information about how test results get published. Ben can be seen on TED discussing his research on the subject. Ben points out that positive, or favorable test results are twice as likely to be published as unfavorable test results. “Unflattering” test results go unpublished. The bias is so well documented that it puts evidence based medicine at risk. WHO recommends Tamiflu, but has not vetted the Tamiflu data. EMA approved Tamiflu, but did not review the full Tamiflu dataset. CDC and ECDC encourage the use and stockpiling of Tamiflu, but did not vet the Tamiflu data. The majority of Roche’s Phase III treatment trials remain unpublished over a decade after completion. In Dec 2009, Roche publicly promised independent scientists access to “full study reports” for selected Tamiflu trials, but to date the company has not made even one full report available. Perhaps it was decided to release a (possible) treatment for a (possible) H1N1 Flu pandemic than to have no prescription to offer at all. Many of the “stockpiles” of Tamiflu (2007-2009) expired on June 23, 2010. The 2012-2013 Flu season recommendations can be found here, where it lists the schedule and dosages of Oseltamivir (Tamiflu) to treat all age groups. The Dow (DJI) dropped today by 225.47, or 1.47%. It is currently up 12.67% for the year. Below is a chart of the DJI on a daily basis for the year. Consider your timeframe whenever entering a position. Below is the DJI on a weekly timeframe. Looking at a weekly chart, no action being taken (always) is an option. Entering or adding to positions is also a consideration, as the averages have simply dropped to intermediate moving averages. An exit plan would be appropriate for any additional entries in the event the market continues down. Also, depending upon your perspective, on both a weekly and a daily timeframe these charts suggest that the market is more likely to go down than up. Re-entering the market when the DJI returns to the slower moving average is perhaps a better bet. Contact your broker or financial advisor for any decision you may choose to make.